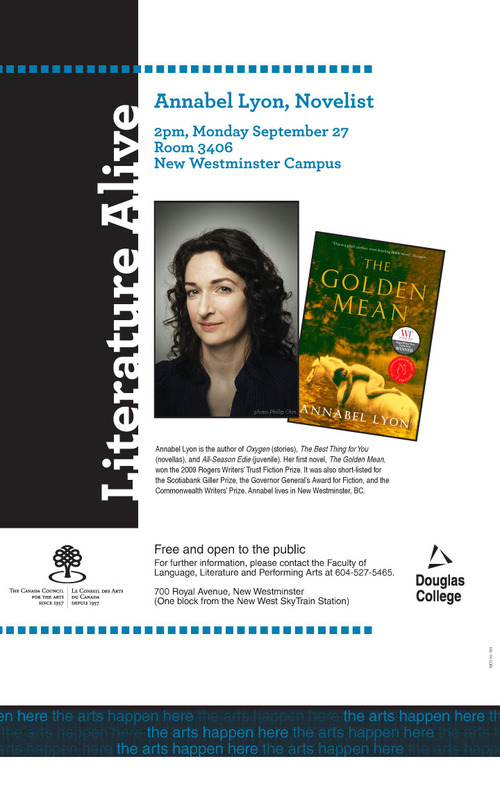 On Monday, September 27th at 2:00PM, I'll be reading from The Golden Mean at Douglas College, Room 3406, New Westminster campus. This event is free and open to the public. For more information, please click here.